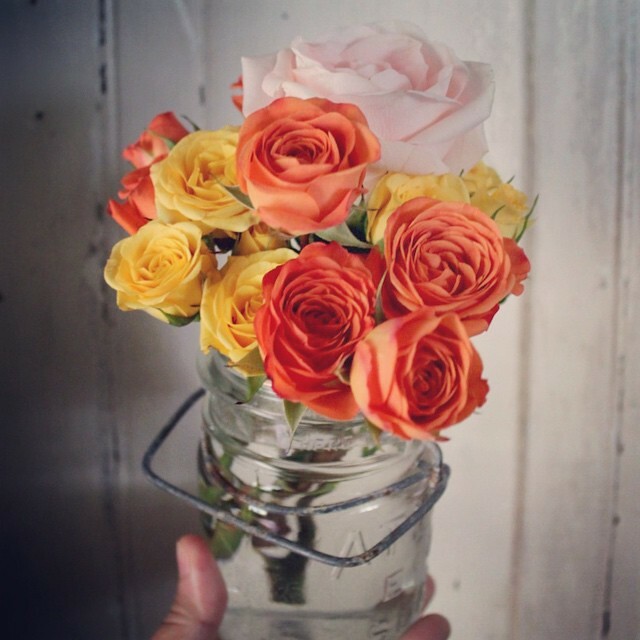 A quick look at my Instagram feed and you'll see that I'm loving all things Coral these days! 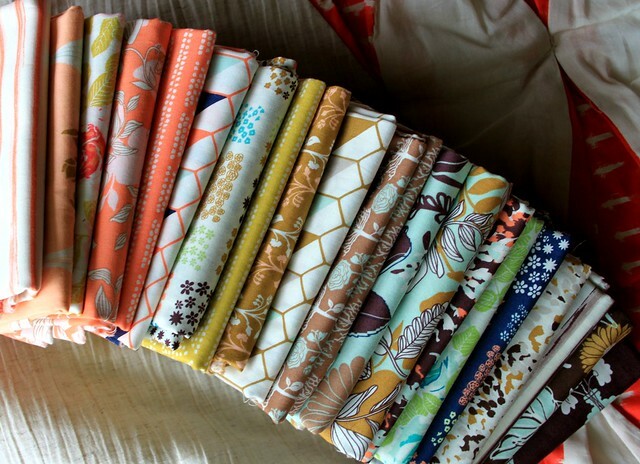 From roses to patchwork to porch swing quilts! 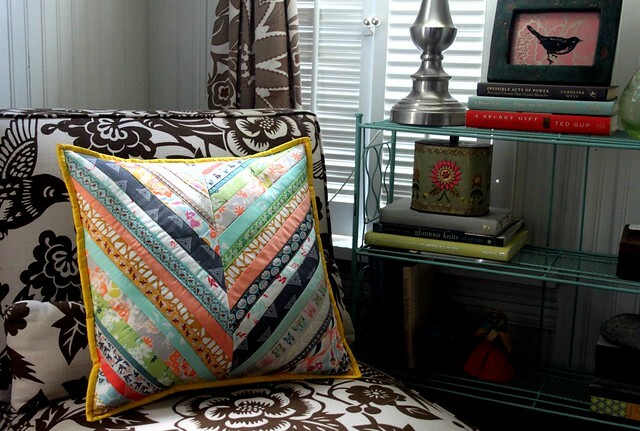 My recent Herringbone Pillow with Renaissance Ribbons was just the first of many projects I'd like to make this Summer featuring this beautiful color, in it's various tones. From the pale, peachy pink coral to the warmer orange infused coral, I love it all! I'm off to a good start by stashing one yards cuts of these top two Prisma Elements in Soft Wulfenite and Warm Thulite! 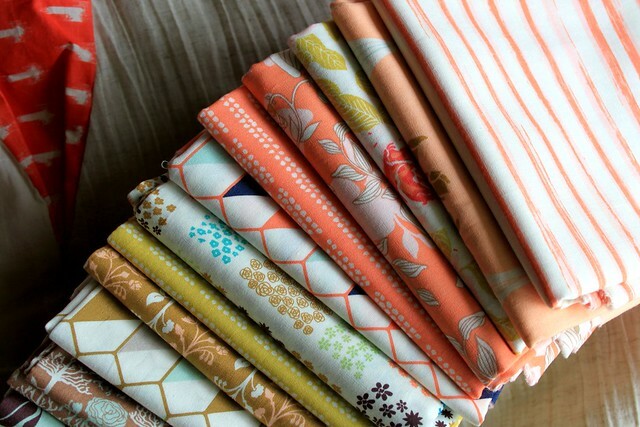 Bonnie Christine's newest collection for Art Gallery Fabrics, Cultivate, just arrived and I love the strong presence of pink citrusy coral! 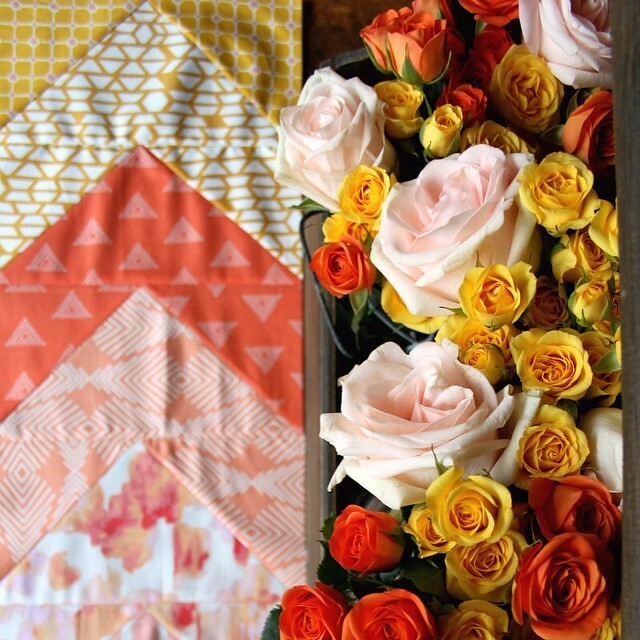 The perfect collection to get my coral fix, don't you think? 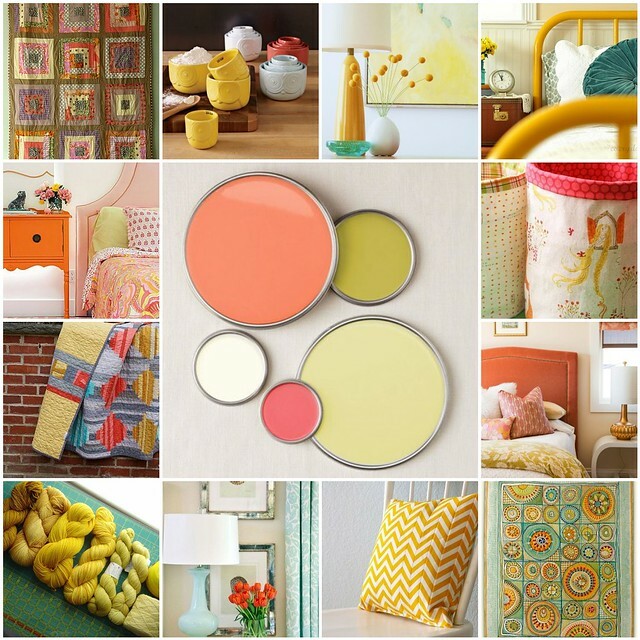 While snapping these photos I was reminded of this color inspiration Coral + Melon mosaic I shared three years ago! I'm feeling just as inspired by it today! How about you? 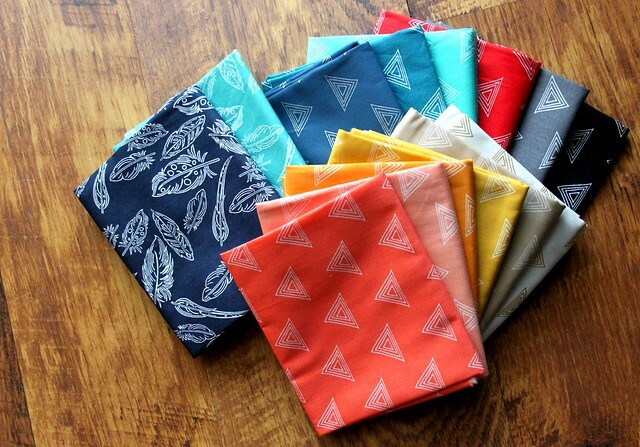 What colors & color combinations are you loving these days? I am still a sucker for blues...and I've found that I like when they're contrasted with oranges, and yes, corals! Beautiful! 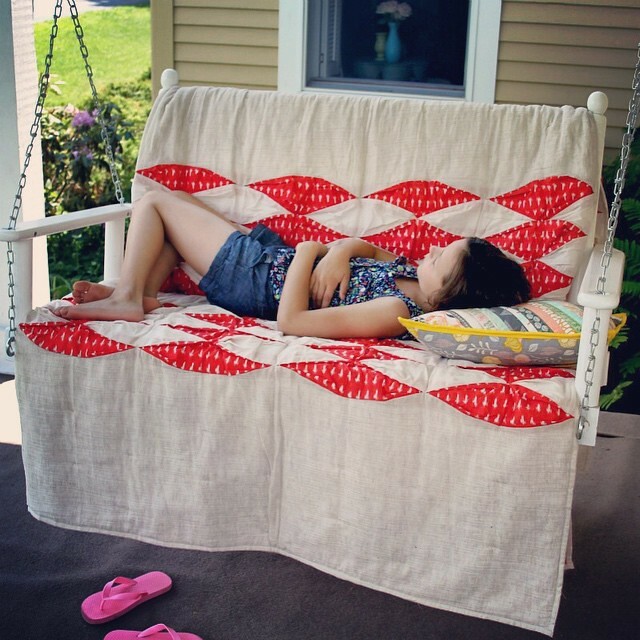 I love seeing things I made put to good use so I thoroughly enjoy that picture of your daughter on the swing with the quilt and pillow! I'm loving green right now. With all the moisture we've had lately the grass is vibrant and the plants are amazing. It's a lovely combination Maureen. It's like my daughter in law's wedding bouquet! Teal is my most recent go-to color...may change by the end of the week!!! I always love coral. But I am really loving turquoise and certain shades of purple and yellow right now too. I just love colors. Well I know I love the colors you have here.